Note: Authors are expected to attend and set up for the Author Expo on both Friday and Saturday (see Agenda for specific times). Fee covers: All activities and meals, including the Friday evening reception and panel discussions, a table, with black covering, to display and sell books during the Author Expo on both days, and lunch on Saturday. You may display banners as long as they do not intrude in walkways or another author's space. BARR has one keynote speaker; 5 to 6 featured authors and 20-25 exhibiting authors. Keynote Speaker - An author who is well known (for example is an NAACP Image Award nominee or winner, NY Times or Essence Best Selling Author), who has wide name recognition due to his/her writing accomplishments, and who will raise enthusiasm among the attending readers. This author will have published at least one new work in the 12 months before the event and will speak to the entire audience for 40-50 minutes during the annual luncheon. Featured Author - Would have several published works, including at least one in the 12 months before the event, have appeared on an established best-seller list or garnered excellent reviews. This author should be able to conduct or participate in a 30-40 minute independent workshop or panel. 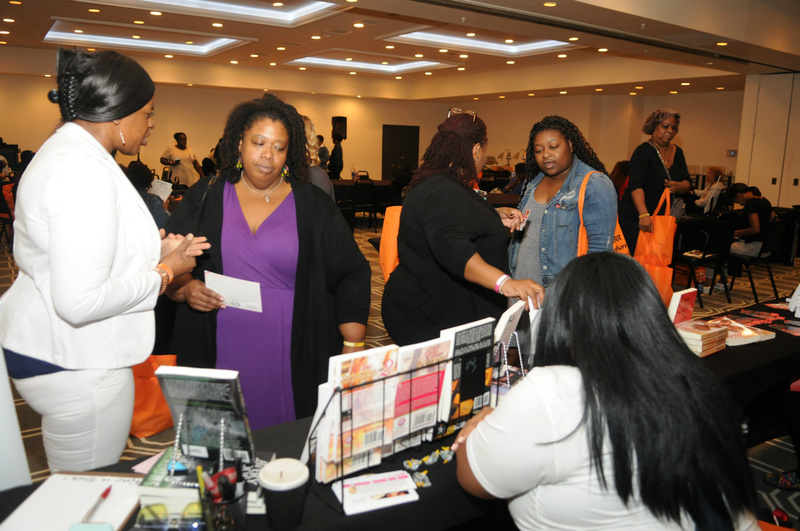 If you are not chosen as a featured author, we encourage you to consider registering as an Exhibiting or vendor author. Exhibiting Authors -This would include seasoned authors seeking to expand their audience and new/emerging authors who are looking for an audience These authors are the backbone of this event as it is our goal to introduce them to an audience of avid readers and thus open new avenues of interest for both the writer and the reader. If you exhibited the year before, you must have at least one new work to share with the audience.